Recent public records provide the most complete look yet at Ivanka Trump's vast financial wealth. Here's what we know about the latest filings. Trump was required to fill out the disclosure forms after she took a formal job in her father's administration in March. The White House released the forms for the first time Friday. It also made public updated copies of similar forms submitted by her husband, Jared Kushner, another top adviser to President Trump. Ivanka Trump's main disclosure document, which is 87 pages, still needs final certification by the Office of Government Ethics. "Discussions with OGE are proceeding in the ordinary course," her lawyer Jamie Gorelick said Friday. Ivanka Trump earned at least $13.5 million in income between January 1, 2016 and May 31, 2017, according to the forms. Of that amount, more than $5 million came from her own business, the Ivanka Trump brand, through March 8, 2017. Trump has retained an ownership stake in her business but resigned from its management, her attorneys told CNNMoney earlier this year. Her lawyers also said that she would recuse herself from certain policy matters, like trade agreements, that are specific enough to affect her line of clothing and accessories. On March 9, her company assets were placed into a trust that is worth more than $50 million in total. Through May 31, Trump drew between $1 million and $5 million from that trust. Keep one thing in mind about all of these numbers: The disclosure forms, which are outlined by the government, make it impossible to calculate precise totals of personal income and wealth. They allow officeholders to disclose figures in ranges, such as "$100,000 to $1,000,000," and some disclosures are open ended, like "over $50,000,000." Trump reported receiving more than $2.5 million in "salary and severance" from the Trump Organization, where she had served as executive vice president of real estate development and acquisition. She stepped down from that position in January. But she retained ownership in several projects, including the Trump International Hotel in Washington. That stake earned her $2.4 million between January 2016 and the end of May 2017, according to the forms. Her attorneys said earlier this year that she converted her ownership in various Trump projects into fixed payments, adding a layer of separation from the financial performance of the Trump Organization. Ivanka Trump has made money on other ventures since January 2016. Trump received a $787,500 advance from Penguin Random House for her book "Women Who Work," which debuted as a bestseller this spring. And she got paid residuals -- modest ones -- for appearing on "Saturday Night Live" and "Late Night with Jimmy Fallon." Combined, the two gigs brought her no more than $1,000 in income. The form also lists a Screen Actor's Guild pension plan and residuals from "The Apprentice," but says their values were "not readily ascertainable." Her income for those assets is listed as being less than $201. Here's the big picture: The president's daughter and her husband are extremely wealthy. 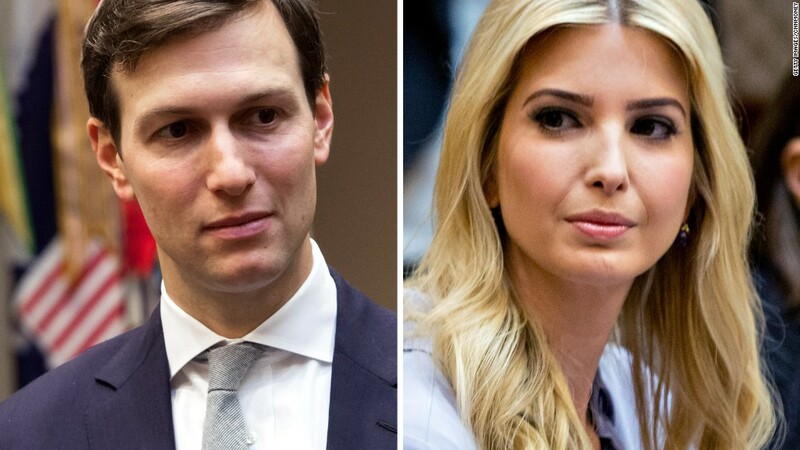 Kushner and Ivanka Trump's combined assets are worth at least $207 million but could reach more than $762 million, according to the documents. On the list: an art collection valued at up to $25 million. Kushner also broke out his stake in Cadre, a tech company that helps investors crowdfund real estate projects, which could be worth as much as $25 million. Kushner had previously listed only Cadre's parent company and its value.